Happy Halloween!! I’m super excited to take Romeo trick-or-treating this year! Unfortunately, we live on a private road so we don’t get many kids, but we’ll be wandering the neighborhood, which is very festive. 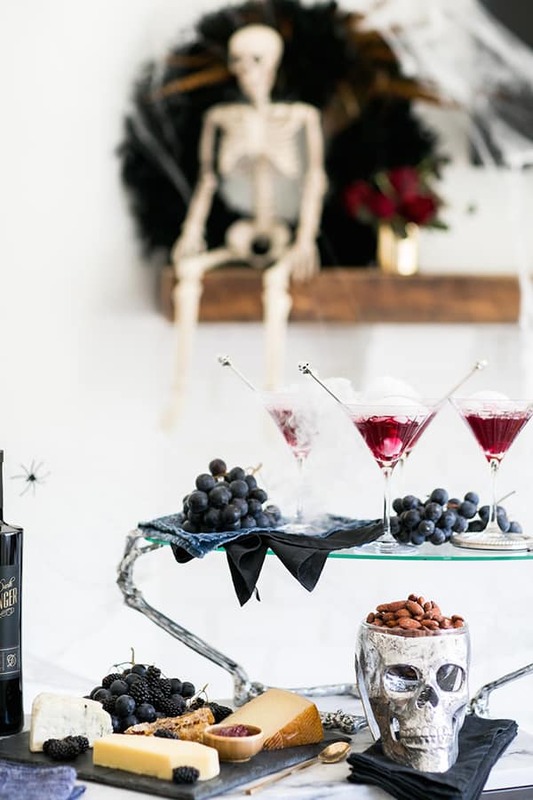 For any of you entertaining or keeping it cozy inside while passing out candy, we have a really fun cocktail for you. 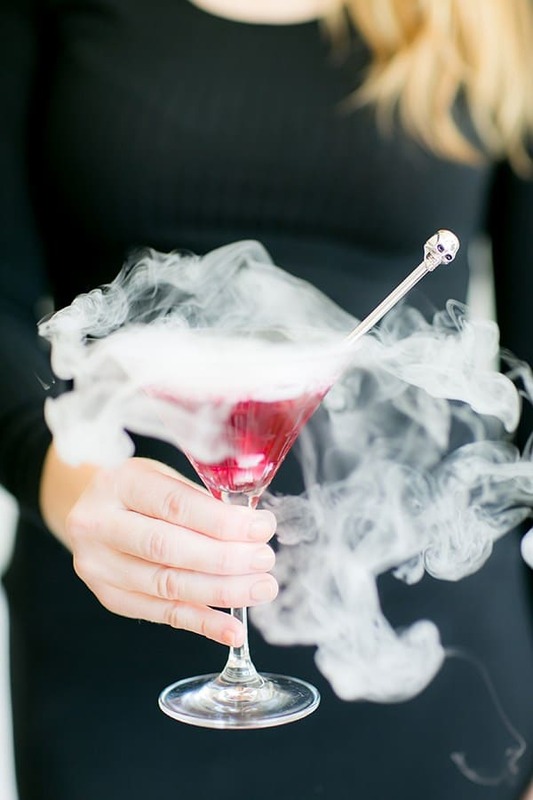 This smoking blueberry lavender martini is made with homemade blueberry lavender simple syrup, fresh blueberries and then we used a little dry ice to make it smoke! Obviously, you want the dry ice to fully melt before you take a sip, but what a gorgeous presentation, right?! See the delicious recipe below and have a wonderful Halloween! Put all ingredients over medium high heat until the blueberries start to burst and the mixture thickens. Remove from heat to cool. Makes 11 oz of simple syrup. Mix 2 oz vodka and 2 oz simple syrup in a shaker with ice. Shake and pour into a martini glass. Add lavender bitters and spring of fresh lavender to finish. To make it “smoking,” add a little bit of dry ice using gloves and tongs. Make sure you let the ice fully melt before taking a sip! This martini sounds so good I have to try this!